So Who is Pete Egoscue? After being shot in Vietnam and suffering horribly, Pete Egoscue felt he was caught in a medical system that was not helping. In an effort to find relief, Pete began to study the body and movement and... he created his own method, Egoscue® . Egoscue® is taught at Egoscue® franchises only however, you can now do this same postural therapy with a Postural Alignment Specialist or Accredited Exercise Therapist trained at the Egoscue University at a clinic closer to you like, Pain Free Studio in Park City. His method is first and foremost about helping people change their posture and be more comfortably in their bodies. Our therapists educate you about your current postural alignment. They will ask you to perform a series of tests to determine your level of function and then and work with you to create a customized series of stretches and "e-cises" designed to strengthen specific muscles and bring your body back to its original blueprint. This method of posture therapy is the world leader in non-medical pain relief. For over 30 years, this therapy has been a breakthrough system for permanently eliminating chronic musculo-skeletal pain…without drugs, surgery or symptom-based therapy. After completing a degree in Health Science at University California Santa Barbara (UCSB) Kyra worked with athletes doing massage therapy and personal training. After years as a competitive snowboarder, her own back pain and hip pain became unbearable and lead her to Egoscue® in San Diego. After experiencing unmatched results, She spent the next two years studying with and working for Pete Egoscue at Egoscue® Headquarters. Years later she moved to Utah to be the Director of an Egoscue® franchise in Park City and Salt Lake City. In 2008 Kyra left the Egoscue® franchise to open Pain Free Studio. This has given her the freedom to offer her clients the same quality therapy at a fraction of the cost. 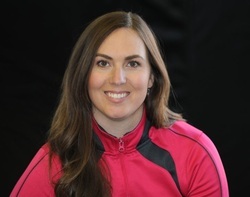 Over the years she has had the opportunity to work with the United States Men’s Alpine Ski Team ,other world-class athletes, locals, politicians and celebrities that all call Park City or Salt Lake City their home.